Our promotions side specializes in solidifying brand loyalty by creating awareness. Whether you are looking to increase sales, create a notable image, advertise new products/services, or dominate your brand equity, we have the tools to exceed your expectations. From sponsorships and special events to sweepstakes and prize insurance, our exclusive techniques are eager to be your solution. Our repertoire of services delivers results that exceed expectations. With our committed team of seasoned professionals, we are positioned to bring the notoriety that you desire. And through our extensive pool of brand ambassadors, we have the people in place to insure you with the right talent. Our team of promotions experts pack decades of experience into every activation. From conception to completion, our promotions team excel at every stage. Whether your objective is to increase sales, advertise new products, new services, or highlight your brand, we have the tools and capabilities to make you more than successful. DFW Airport serves over 200+ international destinations. To help support foreign travelers, the Dallas Fort Worth International Airport created a concierge program that provides assistance to individuals arriving out of Customs. At the program’s inception, the airport was seeking a promotional partner who could provide brand ambassadors fluent in a select group of languages to assist travelers with connections or provide general information regarding airport facilities. They sought an agency who would assign a project manager to supervise and manage all ambassadors and serve as the primary liaison with the DFW lead personnel. Four teams were envisioned in the initial plans including Brazilian, Mandarin, Japanese and English. In addition to providing support to travelers, the team members would be encouraged to promote the dining and shopping amenities at the airport in an effort to persuade travelers to take advantage of these premiere services. The Brazilian program was the first team to be on-boarded. It began in 2013 and ended in September of 2017 after the economy in Brazil began to adversely affect traveler numbers. The Mandarin program was conceived in 2014 followed by the English program in 2016. Beginning in October of 2017, the Japanese team will be set to start. Fluency in each of the languages was a must. Individuals had to be approachable, professional and possess high-energy. Positive engagement with travelers was required and leaving a favorable impression of the staff and facilities at DFW Airport was a definite goal. The challenges of a language barrier when visiting a foreign country could be eased by hiring staff that could read verbal and non-verbal cues to sense a passenger’s disposition and communicate with these individuals in their native tongue. Each program is supported with one to three team members located in Terminal D. Each team member must become a DFW Airport specialist after a mandatory training class provided by the airport. Background checks for each team member are required in order to receive security clearance. Team members were required to be available 7 days a week for 3-4 hours per day. Additional time would be required for terminal entrance and airport security checkpoints. The partner agency would also have to provide an affirmative action plan and/or diversity and inclusion policy statement relative to hiring staff for the proposed project. Companies with an SBE certification were strongly encouraged to participate in the solicitation of services. The team of brand ambassadors would report to the project manager at the promotional agency. All staffing and supervision of the team members would be handled by the lead at the agency. TBS provided a fun, engaging bilingual team to interact and engage Live Nation concert goers across 6 markets in 4 states. TBS activations consisted of an inside venue display where Brand Ambassadors invited concert attendees over to take part in various activities to win premiums. Activities included photo booths and games of skill. Each activation also included exit sampling where Brand Ambassadors with Takis-branded bags handed out samples to attendees . TBS used it’s proprietary fulfillment site to collect leads, and to track and control valuable premiums. TBS Promotions provided bilingual team members that met all qualifications as outlined by DFW scope of work. A project manager was assigned to supervise and manage all personnel involved with the concierge program as well as provided on-going communication and recaps to the DFW lead. As an SBE certified business, TBS was uniquely qualified to participate in the solicitation process. With our deep pool of brand ambassadors, we were able to provide the required number of team members for each language requested. Ambassadors, fluent in multiple languages including Portuguese, Mandarin Chinese and Japanese were interviewed and selected based on their professionalism and fluency. Each member was tasked with greeting arriving travelers on daily flight and serving as a concierge to passengers with language barriers. In addition, ambassadors were assigned to help with questions regarding connecting flights while also encouraging individuals to frequent the concessions, shops, loungers and other travel amenities at the airport. Team members also assisted travelers in need of translation for US Customs as well as various airlines. TBS provided weekly recaps with interaction and collateral reporting. And, they also provided monthly recaps to the DFW Airport with data comparison year over year and month over month. Between January 2015 and July 2017, the Brazilian team has assisted over 162,000 travelers. The Mandarin team has assisted over 249,000 travelers as of July 2017. In 2017, DFW Airport was recognized as the #1 Airport in Customer Satisfaction in North America by Airports Council International. Reactions of both international travelers as well as lead personnel at DFW Airport has been enthusiastically positive. Many passengers have affirmed the program with rave reviews over the inclusion of fluent personnel to assist with their travel needs. Foreign travelers who log thousands of miles each year have recognized the Chinese concierge in particular for assisting them with their questions and concerns. In several cases, it was cited by passengers as this being their first encounter with a Chinese translator at an American airport. The program continues to garner high marks for TBS owing to both the leadership in place as well as the efficient and professional staff assigned to each team. To leverage the Live Nation Sponsorship through consumer engagements via exit sampling of the new Takis Fuego chips while raising brand awareness amongst Takis’ target demographics across the country. 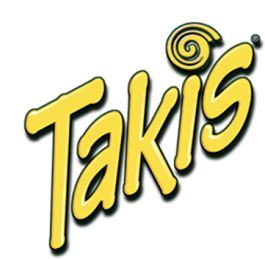 The TBS team successfully distributed more than 6,000 premiums over the 46 activations while simultaneously driving awareness and sales for Takis. 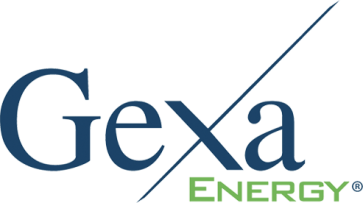 Provide sponsorship activation for Gexa Energy at the Gexa Energy Pavilion. Activation should offer lead generation and social engagement, and be transitioned easily and affordably to other settings. TBS provided concept, assets, activation and recaps. Tablets were used to collect data from each prospect. Prospects chose between 2 photo backgrounds and received their photo via email to the address provided onsite. Prospects had the opportunity to view, print and socially share their photo. When they socially shared they were entered into a sweepstakes that allowed their friends to enter. Plan and execute grand opening events for Firestone Complete Auto Care locations throughout the United States. TBS developed a customized activation template that leveraged Firestone’s national assets and offered local customization for each store including: pre-event planning, on-site contest, PR, guest list/invitations, networking within a 3-mile radius of each location, promotion of Firestone’s “Promise to Care” via donations to local charities and schools, prize procurement from neighboring stores, props, tents, talent, catering, games, car crushes, radio remotes, production and more. Each location was offered options within the template that allowed them to semi customize the event while getting consistent, predictable costs and timelines. Over the past 3 years, TBS has opened 100+ Firestone Complete Auto Care locations and holds the record for the most top revenue-generating Grand Opening weekends in Firestone’s history.